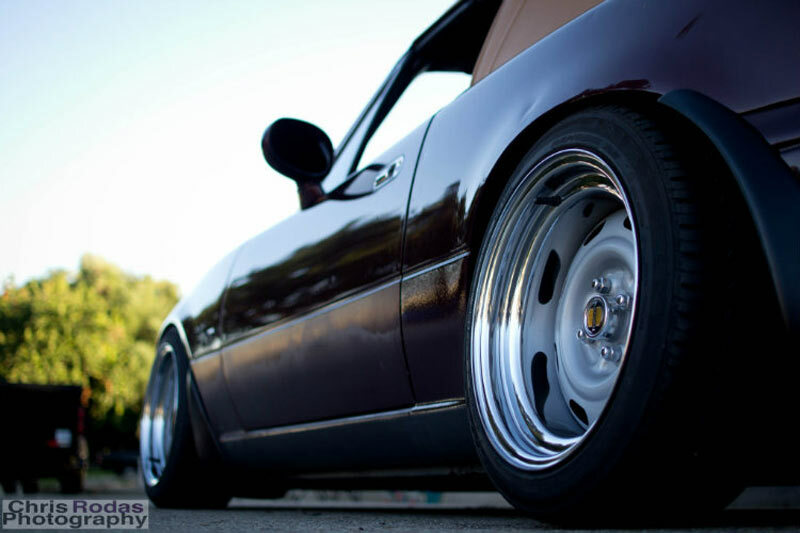 Its Late on Saturday night (actually like an hour ago) and I have some people that want to meet up and check out some steering wheels I have for sale. 2 Miatas roll up so I check out their rides and I notice this unique set of wheels on car Miata number 2. I did a double take because I dont recognize what the wheels are. 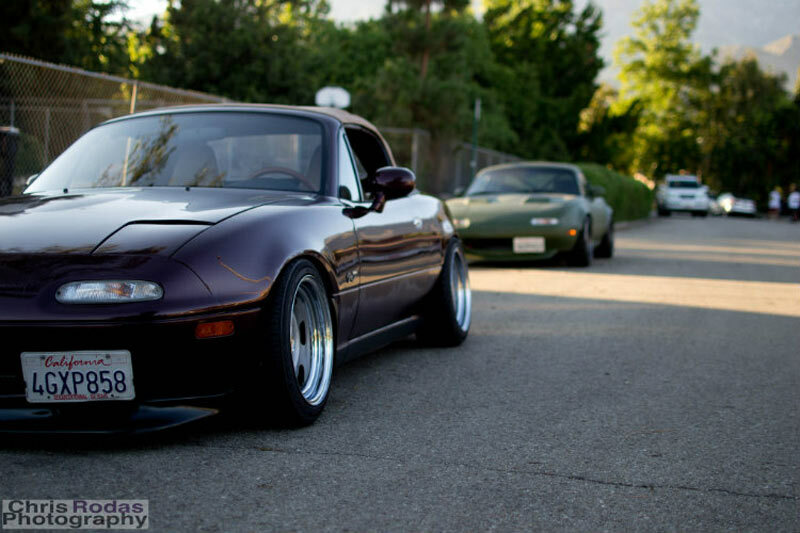 After a few seconds I notice they are NA Miata base model wheels widened with chrome lips, and they look clean! Props to Alex and hope he enjoys the new steering wheel! Are you sure that was 15” ? 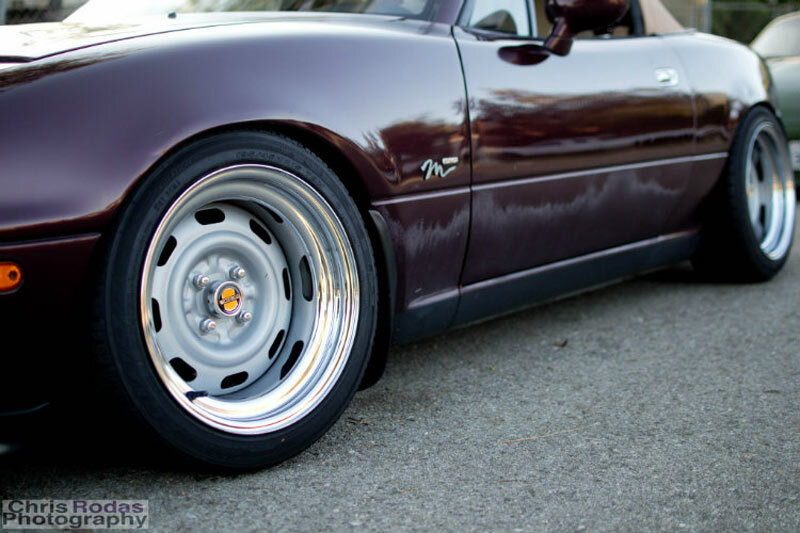 I like that look, but cannot find anywhere 15″ … just 14″ mazda NA steel wheels.